There’s a very famous book called “Acres Of Diamonds” which tells the story of a prospector who famously spent years (and a small fortune) digging for diamonds on his diamond claim. Without success, he eventually gave up and sold his lease for pennies on the dollar to a new prospector. This new guy hired a geologist who undertook some basic study and discovered that the previous lease owner had stopped digging literally a few feet from one of the largest diamond reserves in history. It’s a great story and a salient reminder that in business, a little bit of the right information can completely change your fortunes. This was the case for a client of ours in Australia who has been struggling on Amazon for nearly a year, even after he ran a campaign on one of his products. He wanted to do another campaign (for a different product) but he needed help figuring out why his business wasn’t firing on all cylinders on the first product. Like many Amazon Sellers, this client sells in a very competitive niche. He had done all the work. He had a good product. He had spent money on branding it. He made his order and shipped it to Amazon. He had done a campaign with us. He had done press releases. He had done videos that back-linked to his listing. He had responded to all inquiries promptly. He was running Amazon Ads. Why then was his Amazon account not growing? He was making sales but no money. This scenario sounds crazy but this is the case for many Amazon sellers, especially those that don’t truly know their numbers. If you have any doubt yourself, make sure you carefully read this blog post and download the Amazon Profit Calculator. When our client said, “On one product I’m making 10 sales a day but my Amazon balance isn’t going up”, that immediately raised a red flag for me. That product was selling for $35 and costing him $8 to manufacture, so how could his balance not be increasing? 10 sales x $35 = $350/day = $123,200/year. 10 sales @ $8 cost = $80/day in costs = $28,160/year costs. That’s 77% gross margin to play with! Surely Amazon’s fees don’t eat up $95,000 a year? I then asked him, “What’s your Acos”? There was a long silence on the phone. “Acos? What’s that?”, he asked. $6 would give him an AcoS of 17% (6 divided by 35 = 17%). That’s a respectable 37% net margin. In other words, he didn’t know what that AcoS column was, which is very common for people who are still getting their head around how Amazon works. When we jumped in to took a look, he was actually spending between 53% and 70% of the retail price of his sales on Amazon ads. That’s between $18.55 and $24.50 just in ads! If you ad those numbers to Amazon’s commission and FBA fees ($7.75/unit total), he was giving Amazon between $26.80 and $32.75 per sale – from an item that sold for $35! Obviously that is not a good business model. The Termites Eating The House! The insidious part was that his Amazon account balance was remaining stable but his inventory was declining. It is a bit like termites eating your house! You can’t SEE the decline in your wealth because you aren’t actually getting a bill from Amazon. They are simply deducting all of their fees from his running account balance and distributing what’s left over. If you’re advertising on Amazon, the AcoS number can be one of the most destructive or constructive data points in your whole business. 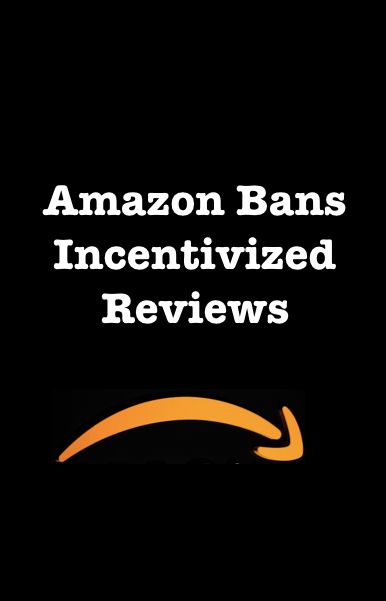 Put bluntly, on Amazon, if you don’t know your numbers, your cash can disappear into Amazon’s coffers without ever writing a check or seeing a debit in your credit card account. If you sell in competitive categories, here’s the bottom line. There is always going to be a LOT of competition and many of them are going to know what they’re doing. – Got a great headline? Big deal. So have they. – Keyword optimized? Big deal. So is their listing. – Good bullet points? Yawn. – Good photos? Please! Of course. Next! – Got a ton of reviews? Duh! Of course! – Cool branding? Yawn – twice. – Doing off-site marketing? Me too! Second, you don’t make the critical mistake of assuming that everything in the list above is enough. It isn’t! There’s one more factor that if you don’t get right you will never win on Amazon in competitive niches. The Biggest Factor That Affects Conversion Is…. I am amazed at how so many experts teach everything BUT the one thing that increases conversion the most. Price! There it is – the most UNPOPULAR technique in marketing. Discounting. On Amazon, the lowest priced products get rewarded big time. Don’t believe me? Cut your price in half for one week and see what happens to your BSR (Best Seller Rank) and sales. The bottom line is that Amazon is a TRANSACTIONAL business. They get paid when stuff SELLS. They also truly care about the customer and want to become THE place to go for the lowest price on everything. This is no secret! In this client’s case he had done all the work and he even had a ton of great reviews (over 100) but he still wasn’t seeing cash. Was he a few feet from diamonds but unaware of it? The Amazing Power Of Knowing Your Numbers – How We Turned This Around In 24 Hours! Having sold on Amazon for a couple of years, and having been in business for over 20, my spidey-sense was telling me that this client could easily double his sales if he halved his price, but would he MAKE MONEY if he did that? He’d done everything else right so why not try this? So we opened the Amazon Profit Calculator together and plugged in the numbers. Those Are Diamonds Right There! Boom! After 12 months of struggle, two small changes completely changed his business. The exciting part is that this change happened much faster than I expected. It was probably because he had everything else right and had over 100 reviews. I was expecting it to take a month to get to 20 because Amazon’s algorithm can take time to adjust, but given this early result I am extremely confident that he’ll actually reach 30 sales a day in not time at which point he’ll be netting over $31,000 a year from that one single product. That’s a 39% increase in profit! So what do you think he will be focusing on now that he knows these numbers? Don’t Miss Out On Your Diamonds! Hopefully you’ll remember the story of the diamond miner and this little story about an Amazon seller who after doing everything right was just two changes away from having an income to feed his family or a failure to his name. Persistence with the right information will lead to success.